Our laboratory is always watching the clock. We are obsessed by time. Not the passing of time but the daily cycling of time. The reason being is that we study the body clock, which is a molecular system within cells so that they can tell the time of day. 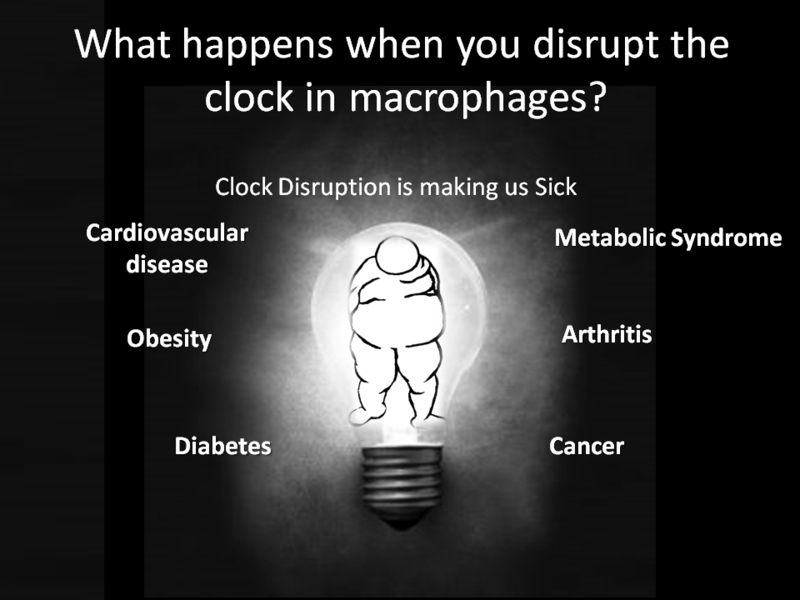 We try to understand how this molecular clock controls our immune system and the inflammatory response. In particular we focus on how the body clock controls cells of the innate immune system, which is our first line of defense against infection or damage. Immune cells traffic around the body at certain times of day. Infection causes a different immune response at one time of the day versus another. Immune related conditions such as asthma, arthritis, autoimmunity and cardiovascular disease vary with time-of-day and are more severe if the innate immune clock is disrupted. Disruption of our body clocks, such as with night-time shift work, leads to increased susceptibility to inflammatory disease. Our work has implications on how we treat inflammatory diseases but also when we treat inflammatory diseases.